Here is the list of the hotels near Castaignos-Souslens. Book your hotel near Castaignos-Souslens today, Thursday 09 May for the best price, reservation and cancellation free of charge thanks to our partner Booking.com, leader in on-line hotels reservation. Below here is the list the 50 closest hotels of Castaignos-Souslens, sortable according your criteria. You will find the position of these accommodations on the Castaignos-Souslens hotels map. Located in Mugron, Le Chalet has a garden, terrace and free WiFi throughout the property. At the bed and breakfast, all rooms are fitted with a wardrobe. Certain rooms will provide you with a kitchen with an oven. At Le Chalet, all rooms come with a seating area. Guests at the accommodation can enjoy a continental breakfast. Evening meals are served upon request at the property. Guests at Le Chalet will be able to enjoy activities in and around Mugron, like cycling. Dax is 24 km from the bed and breakfast, while Mont-de-Marsan is 26 km away. The nearest airport is Pau Pyrénées Airport, 49 km from Le Chalet. 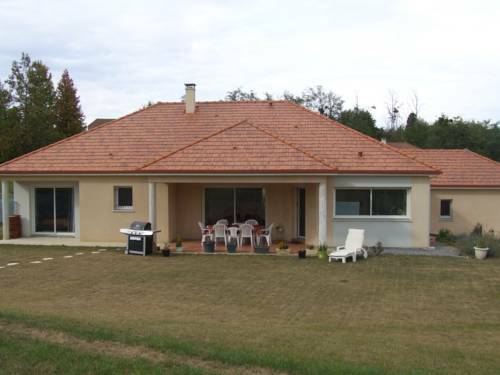 Providing a terrace, La Terrasse de la Grand'Rue - chambre d'hôtes - offers accommodation in Mugron. Free WiFi is featured. Guests at the bed and breakfast can enjoy a continental breakfast. Cycling and fishing can be enjoyed nearby. Dax is 28 km from La Terrasse de la Grand'Rue - chamb, while Mont-de-Marsan is 30 km away. Pau Pyrénées Airport is 68 km from the property. Chambres d'Hôtes La Toast Vin offers bed and breakfast accommodation in Saint-Sever. There is a seasonal outdoor swimming pool, a garden with terrace, and free Wi-Fi throughout. Wine tastings are possible on site. The bedrooms are uniquely decorated and feature a private bathroom. Some rooms have a fireplace and some rooms have a view of the pool or the garden. In the morning, a continental breakfast is served, including yoghurt, fruit juice, bread, pastries and homemade jams and cakes. Upon request and reservation, guests can enjoy an evening meal with the owners. Saint Sever Abbey and Saint Jacques de compostelle path are 200 metres from the B&B, and there are some cycling and walking paths nearby. Mont de Marsant Train Station is 15 km away and there is free parking on site. Below here is the hotels map of Castaignos-Souslens. Names and details of Castaignos-Souslens hotels can be shown on the map clicking on the prices icons.